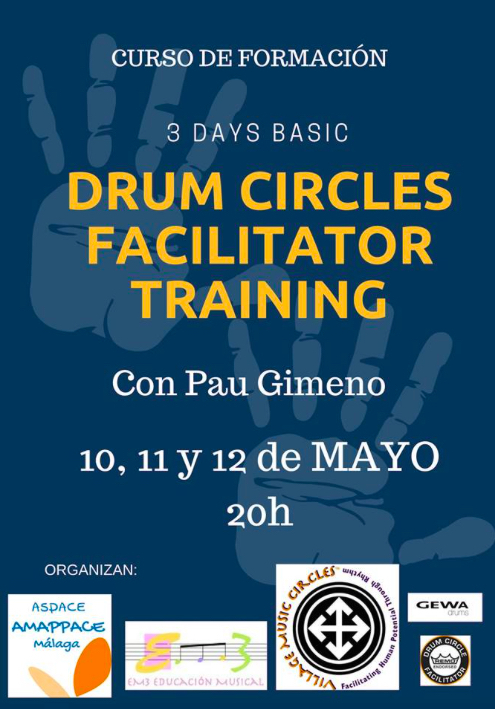 Drum Circle Facilitators Basic Training in Málaga. Three Days Basic Facilitators training in Málaga. Springtime in the Spanish Coast is the perfect environment to Host a Trainging event. Join Us in the sunny side of the groove. Head over to the Village Music Circles main site. © 2019 Village Music Circles Global. All Rights Reserved.